Research presented by the American Heart Association may diminish the number of heart attacks, strokes and other complications in patients with high blood pressure. 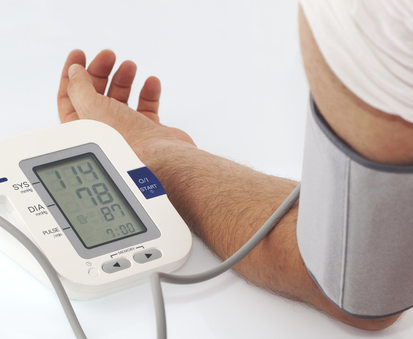 They found that patients who participated in a pharmacist supported, at-home, high blood pressure telemonitoring program were more likely to lower their blood pressure than those without the support. Although high blood pressure patients typically visit physicians an average of four times a year, blood pressure seems to be controlled in only half the cases. The study, led by Karen Margolis, MD of HealthPartners Research Foundation in Bloomington, Minnesota, examined patients with uncontrolled high blood pressure. Half the patients received traditional care through their primary care providers. The other half not only saw their primary care physician but also received high blood pressure management and telemonitoring support from a pharmacist. The telemonitored patients measured their blood pressure at home and sent the readings electronically to a secure website where pharmacists could access the information and use it to consult with patients every two to four weeks by phone. Both patient groups had their blood pressure measured at the beginning of the study and then measured again after 6 months. After 6 months both patient groups lowered their blood pressure to healthier levels; under 140/90 millimeters of mercury (mm Hg) in most patients, and under 130/80 mm Hg in those with diabetes or kidney disease. The intervention group using telemonitoring, however, reduced their blood pressure a significant 30% lower than the traditional care group. These patients also received more high blood pressure medications and reported that they were more likely than the other group to remember to take their medications consistently.